Any home or household can benefit from having a sprinkler system installed. It is not only important to adhere to the code compliance requirements in your area, but it is also important to offer you and your loved ones a sense of security when you are in the home. You may have a number of different questions when looking at the right sprinkler system for your home. You may have heard about the difference between dry- and wet sprinkler systems. What are the differences between these and where would you use them? What is right for you? With wet-pipe sprinkler systems, you have water under pressure in the overhead sprinkler. The water will immediately discharge from the sprinkler head if one of the connected sprinklers activates. These are the simplest types of fire sprinkler system, and also the most common one. They require very little maintenance, less installation, and they are very reliable. If you have lower temperatures though (below freezing), you cannot use this type of installation. In addition, if there is a malfunction or a leak, it can lead to severe property damage. For most homes, wet-pipe sprinkler systems are going to be a great option as long as there are not strange demands or specific building codes that you have to adhere to. These dry-pipe sprinkler systems only use pressurized nitrogen or air. The pressurized air will hold back the supply of water, and if the sprinkler activates, the air pressure drops. This causes the water to enter into the piping system and then discharge from the sprinklers. These are typically used in environments with freezing temperatures. Because they are more complex, dry-pipe sprinkler systems are typically much more expensive and require more maintenance. There can also be a 60-second delay before the sprinkler kicks on, because the water needs to travel from the valve to the sprinklers. There may be specific codes or ordinances that determine what you are able to use in your home. 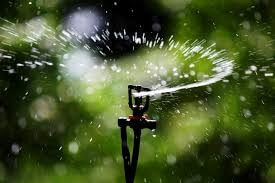 You probably realize that it is important that you have these sprinkler systems professionally installed. If you rely on amateurish installation, you may run into trouble later on when you need these systems to work their best. Having the professionals at Dr. Pipe Drain and Plumbing Services install these systems for you will give you the peace of mind and safety that you need.